Our objective at Harvest Land Sales is to provide specialized service to land owners and land buyers in Northwest Minnesota. 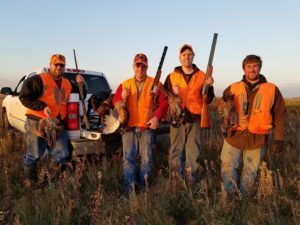 We work primarily with farmland and hunting land sales from the Red River Valley across to the Beltrami Forest area. We have a wide variety of customers across the country. Give us a call, we’d be happy assist you in buying or selling land in this region we call home! For those who have land to rent out, we are prepared to assist in rental negotiations.